Welcome to Mensa Singapore, the home for Singapore Mensans. 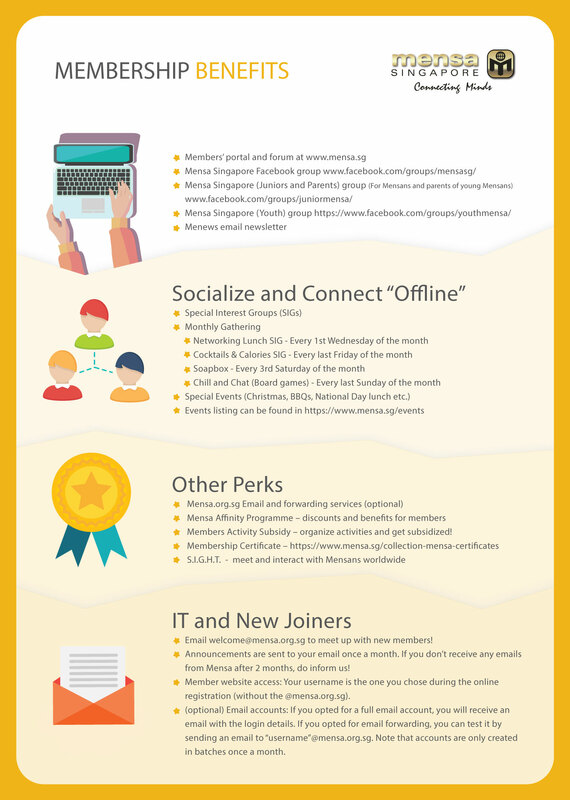 If you are not yet a member, you may go to the official Mensa Singapore website to find out more about us. Or if you are ready, you may register for our admissions test or apply to join us (if you have already passed our test). For members, if you are unable to login, please refer to our knowledgebase. For new members, you might want to start by reading our President's message (login required). Other cool things after you login: Forums, polls, downloads section, latest announcements, and more!